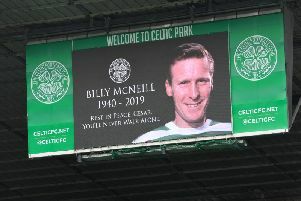 As the midfielder penned a four-year contract with Celtic yesterday, he was quick to pay tribute to his parents for their role in a rapid rise to prominence which saw him become the youngest ever captain in Norwegian top-flight history when he wore the armband for Start at just 16 years old. Still only two months away from his 18th birthday, Ajer will continue to lean heavily on the influence of his father Jan Tore and mother Randi who will join him in Glasgow when he formally joins the Scottish champions in June. While dad was Ajer’s first football coach, mum’s part in his development has a less conventional back story. Widowed in 1990 when her first husband died in a skydiving accident while they were both serving in the Norwegian military, Randi had two young daughters aged three and five at the time. She channeled her grief into becoming an education officer and psychiatric nurse, writing a self-help book published to popular acclaim in Norway in 2011. Re-married to Jan Tore, they were both at Celtic Park yesterday to share their son’s pride at joining Celtic. “I would not be sitting here without them,” said Ajer. “They have been really important for me. My father trained me in my early years as a footballer, while my mother encouraged me both in pursuing my football but also in my education. “She has written the book about life and how you deal with things in your life. My parents will both travel with me and stay with me for a few months when I come back here to live. It will help during the time when I can develop into the Celtic squad and learn how to live in Glasgow. Karoline Olsen, Ajer’s girlfriend, is a professional handball player and represented Norway at the European Youth Games in Georgia last year. “She is playing handball as a career and there is no handball here in Scotland,” he said. “So she will stay in Norway, but that’s OK. Football has been my whole life, so I cannot think about anything else I want to do. It is not just Ajer’s 6ft 5in frame which gives him a presence beyond his years. He also speaks with the kind of self-assurance normally associated with far more experienced players. With almost 50 first-team appearances for Start in the Norwegian Tippeligaen already, he intends to bring the confidence which saw him appointed skipper there at 16 directly into his efforts to earn a regular place in Celtic’s starting line-up. “I was comfortable as captain of Start,” he said. “I was always captain in my youth teams and I was grateful when the coach at Start gave me the role. “To be honest, I look at myself as a captain whether I have the armband or not because I always scream and demand everything from myself and the rest of the players. “I’m not scared of saying ‘this is me and this is what I stand for’. Now I have to prove myself good enough at Celtic and I am not going to hide behind the rest of the squad. Like his fellow teenager Martin Odegaard, who was nurtured by Deila at Stromsgodset before joining Real Madrid last year, Ajer had a choice of major European clubs at which to take the next step in his career. Liverpool, Tottenham, Paris St Germain, Roma and Hertha Berlin were all interested in him, along with Rosenborg and Molde if he had chosen to stay in Norway, but he has no doubts he has made the right decision. “I don’t look at Celtic as a ‘middle step’ towards something else,” he said. “I look at it as a really big club with a huge fanbase where I want to play and where I have an opportunity. While Ajer can also play in central defence, it is as a defensive midfielder that he intends to make his mark at Celtic. “I’m a hard working, holding midfield player who gives everything for my team and always tries to get three points,” said the Norwegian under-19 international.